We invite one and all to come shake off winter and make merry with us Belgian-style as we fête both the big and the small things in life. 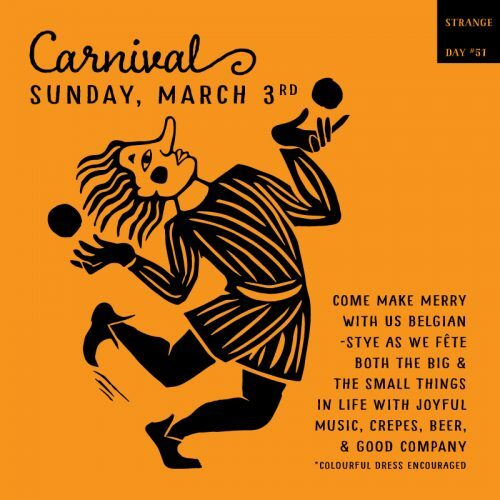 Jubilant music courtesy of East Van’s one-and-only Carnival Band, Belgian crepes, and plenty of beer. Colourful dress encouraged! Families welcome.